Eleaf improves on the design and functionalities of its iStick TC 40W with this new TC 60W, that is also paired with their new Melo 2, top-filling tank, sub-ohm clearomizer, making this the first all-inclusive full Eleaf iStick Kit we offer. Required 18650 High Drain battery sold separately. Buy it here. Introducing the Eleaf iStick TC 60W Full Kit with Melo 2 Tank! Following the success of their iStick TC 40W, Eleaf brings us the TC 60W kit, paired with their Melo 2, top-fill, sub-ohm clearomizer. The new curvy design, with the 510 thread at the center top of the mod, gives an improved ergonomic feeling to the device. 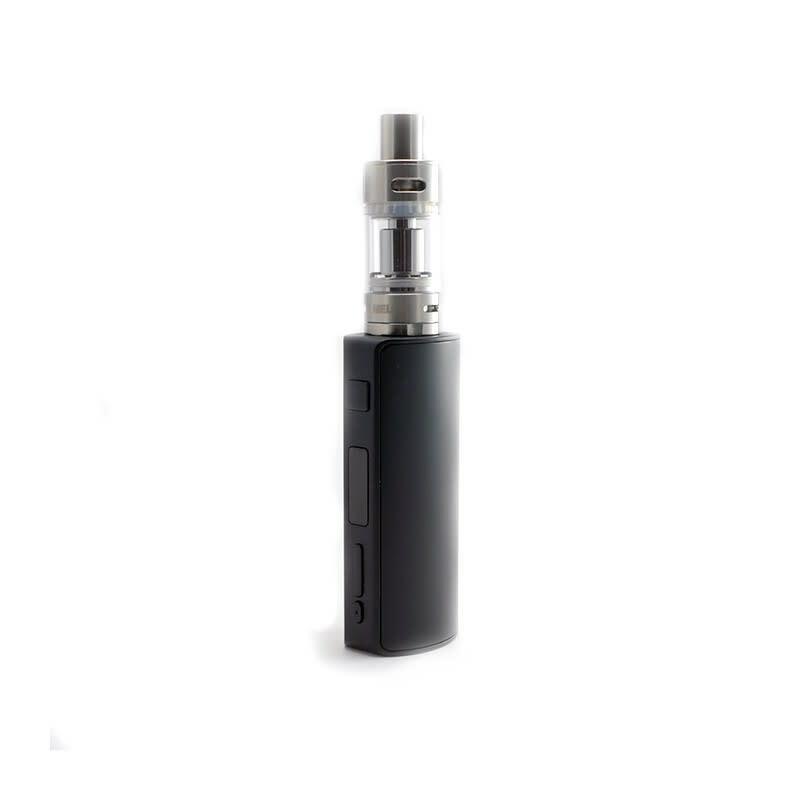 The magnetic covers on both sides of the device can be easily switched for a different color (sold separately), and it is very easy to switch the replaceable 18650 battery (also sold separately) that powers the device as well. This upgraded Eleaf iStick TC 60W offers a satisfying amount of vapour with a 60W maximum output with standard and sub-ohm coils between 0.15ohm and 3.5ohms resistance, and also comes with the smart technology of temperature control sensing with Nickel (Ni200) and Titanium (Ti) coils, operating between 100-315 °C / 200-600 °F with coils between 0.05ohm and 1ohm. The Eleaf Melo 2 tank is an easy-to-use sub-ohm, top-fill clearomizer, with an e-liquid capacity of 4.5mL. 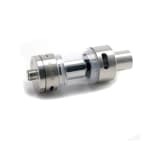 No need to unscrew the tank from the battery to refill your e-Liquid due to the convenient fill hole located right underneath the drip tip, uncovered by a twist of the ring at the top of the tank. It also features a variable airflow ring at the base, and is of standard 22mm diameter. It is equipped with a temperature sensing Nickel coil, and comes with a spare Titanium coil. It also compatible with Aspire's Atlantis/Atlantis 2/Triton coils. Simply does everything it should do at a very good price. Easy to use simple to install. Offers a lot of options. The best top filler that I've ever bought. I like Eleaf products. 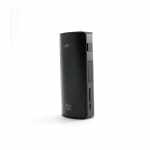 This iStick 60W kit is a good quality vape that is nice to hold in your hands. The buttons are responsive and work well. Melo Atomizer produces good clouds and taste. Slick design and 60w power. Not too big and gives great flavor. I really like it. Love this. Have been using it for around 2-3 weeks now. It does everything it is supposed to. Well built, really easy to use and cheap. Melo 2 tank makes my e-juice tastes much better. This compact size kit gives you plenty of vapour and great flavour to boot. It gives a nice & smooth hit. Batteries last a long time. Nothing to complain about. This is another product I would probably buy a spare. This is a reasonable price kit with temp control mod. I love that it is a pocket-friendly vape kit. 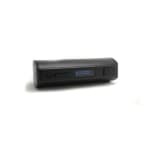 Despite its compact size, it comes loaded with features. I love the stealth mode. Very easy to pop the cover off to change the battery or change the colour of your covers. Overall it is a very good temp control kit. This Eleaf kit is a nice combination at a good price. The mod allows easy setup and adjustments. The melo 2 tank is so easy to fill, no leaks so far in 3 weeks. Easily fits in pocket. Received my kit two weeks back. I like the size, fits nicely in the pocket. I generally use it at 40w with a 0.5 ohm coil head and the melo 2 tank that came with it. It gives warm vapour and a real smoke like feel. Looks pretty slick too. It is a good kit for its price and features. Easy to use with separate buttons for temperature control and wattage. The Melo tank has good capacity and is easy to fill from the side which saves me from the spills. So far I'm loving it. Very nice and easy to use also affortable kit. Just love it I am very happy. Thank you so much. Good service and fast delivery. This kit is affordable, and a great introduction to temperature control. I like how this device has a separate button to change between wattage and temp control modes, where most other devices use a button sequence which can get confusing for new vapers. The tank has a convenient side fill which makes filling quite simple. I also like how both aspire's triton and Atlantis coils are compatible with the tank, and you're not limited to ordering your coils online from eLeaf. Great vapor production for the price and size. 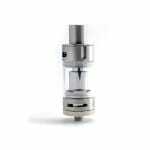 The tank is compatible with aspire Triton and Atlantis coils, which i prefer to the Eleaf coils. The top-fill feature is really handy, and makes for easy refills. Had the kit for the past 2 months, so far no leaking! The mod itself is simple to use and fits well in the hand. Definitely get a 3000mah+ battery if you are looking to vape for more than half a day. .